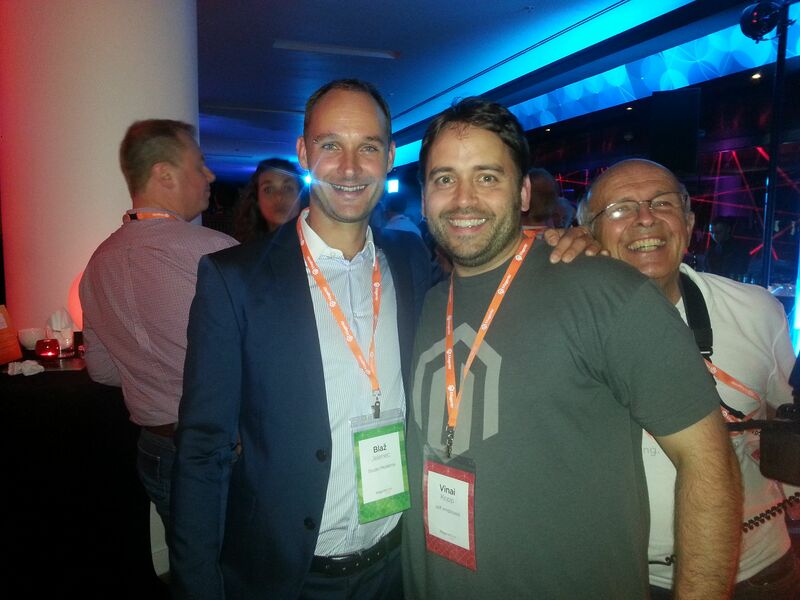 Magento Live UK 2014 – The Best Yet? And so once again Magento hits London for the annual Magento Live event, this time in the summer, just barely a couple of months after Imagine. I was talking to one guy and eventually we figured out that it was 3 years back in 2011 when the first Live event happened, with a view of Big Ben from a slightly different but similarily awesome viewpoint. So did it meet expectations? There was no Roy Rubin, the startup founders had departed, the eBay crowd had truly arrived, were they going to be able to handle this unique and wonderful UK Magento ecosystem consisting of entrepreneurs, one-man developers, and merchants large and small, or would they fall flat and it be the end of Magento as we know it? All the ‘oldies’ from the ecosystem were looking for the cracks, the corporate tone, the ‘we don’t really care but we will try to kid you otherwise’ approach. Actually from the feedback I received and the way I saw it (which is obviously the only view I can state) I think they managed to pull it off. Magento survives, and actually it might even prosper under this new management team. What was clear to me was that this event was well thought out, organised, and full of clearly intelligent people from the eBay side. I would argue actually this event in terms of the message from the management team was stronger and more consistent than at Imagine – where I personally felt it was a little conflicting. We needed to hear this. But what we wanted more was to feel it. And we did. We felt like we are a part of something that still has a lot of life left in it, and that our participation was understood and appreciated by Magento. Everyone in this ecosystem knows that the role they play, whether it be large or small, involves a heck of a lot of hard work, dedication, and passion. It was nice to know from the very platform that we all rely on and have nurtured ourselves over the years that those at the top haven’t discounted us, they are starting to understand us and realise what we bring to the table. In the end there were over 700 attendees. I counted the rows in the keynotes and the numbers looked sound to me. At times it was standing room only. 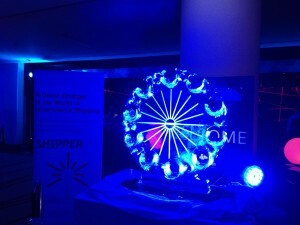 The web design agencies were in full presence, though only OnTap had a stand. Jonty from Red Box Digital seemed to crop up a bit on stage, he clearly is running a very professional influential company, great to see such a genuinely nice chap starting to reap the rewards of his total utter dedication to this space. There were many other quality partners around including The Distance, Limesharp, The Pixel, Creare Group, Healthy Websites, Hunters Design to name just a few. I spoke with many of these agencies, and they are all growing, all raising the bar, and all finding that Magento is growing in popularity still, which is great to hear. There were a great many merchants in attendance, obvious from their green badges. Many were household names, I won’t divulge for competition reasons but from talking with these merchants they all said to me they got a lot out of the event, the content in the breakouts was useful, and the ability to connect with other merchants and indeed speak with agencies, technology partners and Magento gave them a much needed opportunity to re-evaluate and learn. Our great friends over at SLI Systems had their usual presence, they were professional, courteous and engaging. Their stand was always busy, clearly search is hot in demand at present, and they know how to do the job well. From the eBay side there were various heads, including those of Small Business, Product Management, Marketing, eBay Enterprise, together with the architectural innovative brilliance of the likes of Brent Peters and John Lunn. And of course WebShopApps – we hosted the opening party, and the family friendly open atmosphere was exactly what we wanted, no segregation, just everyone hanging out and enjoying the evening free of the stresses of everyday work for once. It was the perfect start. The move to the Plaza Hotel was needed, the venue near St. Pauls was too small, and having the large exhibition area where food was served worked well for all, we mingled and networked much more than previous years I felt. Having the evening event in the same venue was also appreciated, it just seemed more intimate, even though there was more space. This is the same venue for next year, and I suspect off the back of this year’s event there will be an even bigger crowd, this really is the eCommerce event to attend right now. So all this positive talk, surely something wasn’t right? Well, I think Magento should have joined the community event on the Tuesday evening and actually taken off their jackets and come mixed in a neutral setting with the masses, that would have been great. Though we did get the pleasure of both Ben Marks and Beth Gomez joining us, and in fine form too! 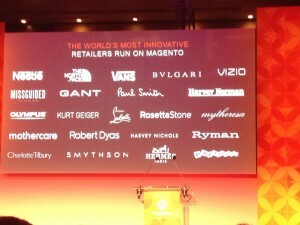 It’s clear that there is a push down from eBay Enterprise into the Magento space. Magento need to clarify how far that push down goes, because let’s face it right now we are all growing up with our customers, and we want to continue to grow up with them. If eBay Enterprise is this large monolith where our best customers depart to never to be seen again I think there will be some questions asked, as we in the community have really been key contributors to their success (and in turn Magento’s), we aren’t going to sit quietly by and let that just happen. I think the same applies around the lower end of the market, with the disappearance of Magento Go (which wasn’t even mentioned) what are Magento’s plans here, and if its still being worked out please be transparant and tell us. Because if the move is to Big Commerce (as the emails and news reports suggest), well that affects a lot of agencies, hosting providers, technology partners and indeed merchants. Then we had the boxes for suggestions for Magento 2 – what did people most want to see. For pretty much every box there already exists extensions that solve the issue (e.g. Import/Export capabilities around orders). If Magento is going to build such features that could impact on the ecosystem my feeling is they need to be very transparant so that companies have time to react to that, otherwise they risk de-stabilizing the great work being undertaken by innovative companies. I think this was the best Magento Live event ever. It was true, intimate, honest and well executed by a management team less interested in fame, career progression and parties, much more interested in results, stats and diligence. This is a question we ask all prospective staff members. If they can’t answer with a few key words (one of them involving shipping), then usually the interview is over within 5 minutes and we just pad it out for 20 minutes more to be nice! “We are Subject Matter Experts in the area of Shipping Rate Calculation in Magento eCommerce”. Well we understand shipping. Completely and totally. We understand Magento around shipping, completely and totally. And our focus – its in the cart, the checkout, around being able to get the most accurate rates, and/or manipulate shipping rates to increase your profits, make you more competitive, or just because you have some awkward item that costs you more to ship than you make in revenue. How does this Help me as a Merchant? We can talk in your speak, we have dealt with thousands of clients over the years and come across pretty much every shipping scenario there is. We understand how shipping works in eCommerce businesses, and as such we can understand your needs and translate those into providing solutions that work for you. How does this Help me as a Web Design Agency? Shipping is pretty damn boring if you are a web designer. We get that. We take the strain off you. We can deal with the shipping, from requirements thro to implementation and testing. You can concentrate on pretty things like design, widgets and graphics, we deal with the boring mechanics and maths of shipping. Well we have written a lot. More than I can feasibly count anymore. But we have a core suite that works for 97% of our customers, you would be surprised what we can do that you may have thought didn’t exist. Freight, Dropshipping, Dimensional, Custom product rules, handling fees, surcharges, you name it we have done it. We had the most powerful shipping extensions on Magento back in 2009 and we have them still today. Because we are passionate about 2 things – the customer, and shipping. But we love it. Contact us to discuss your needs. 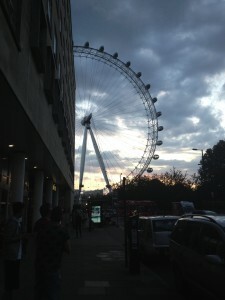 Oh and did I mention we have offices in the US and UK (and an engineer out in AUS). Why? Because we want to be close to you. You are currently browsing the Magento Shipping Extensions blog archives for July, 2014.